He was motivated by a love of linguistics and a love of Low German-speaking colony Mennonites. “I love those people,” he says with obvious enthusiasm over coffee in Winkler, Man., where he and his wife Susan live. 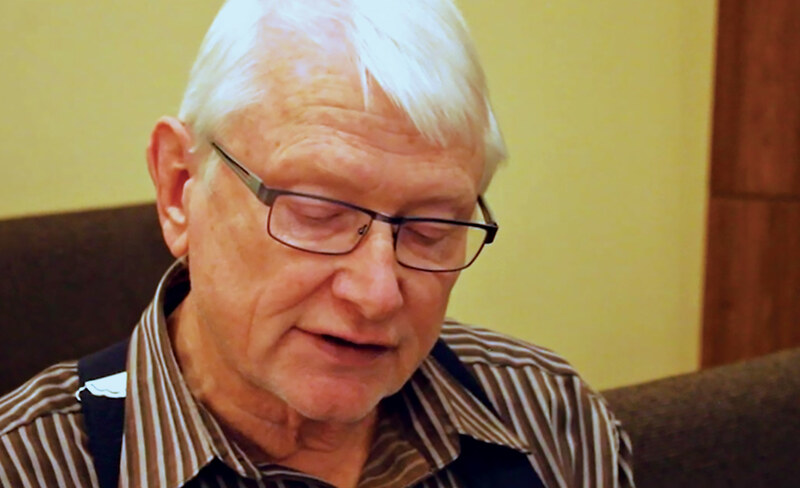 Originally from Reinland, Man., where he grew up speaking Plautdietsch, he served as a pastor on the Santa Rita Colony in northern Mexico with the Evangelical Mennonite Mission Conference (EMMC) from 1994 to 2000, steadily doing translation "on the side." 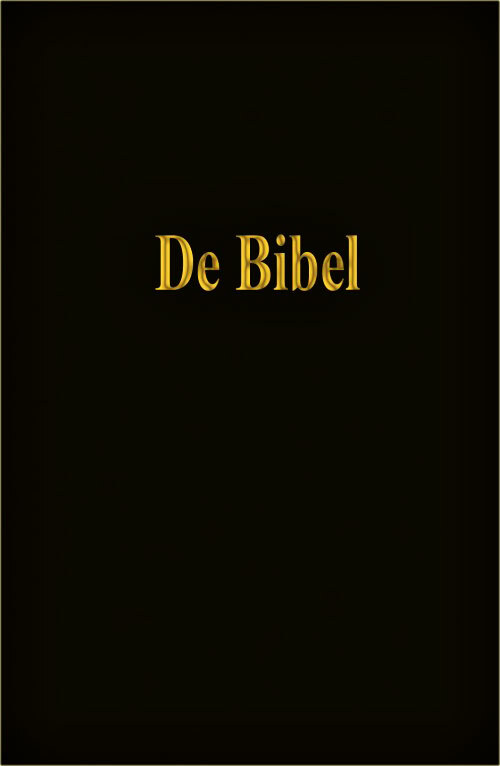 Eventually, the efforts of Zacharias and his collaborators led to De Bibel, a 1,266-page, hardcover Plautdietsch Bible. That Bible incorporates a revised version of the New Testament, Psalms and Proverbs that had previously been translated by J.J. Neufeld. Since 2003, when the complete Low German Bible was finished, Kindred Productions—the official Mennonite Brethren publishing house—has printed more than 43,000 copies, in addition to 26,000 copies of the New Testament, Psalms and Proverbs. Ed Zacharias reads from Isaiah chapter 40, which he translated into Low German. In 2009, Zacharias self-published Ons Ieeschtet Wieedabuak, a dictionary containing more than 17,000 Low German words. Zacharias, who attends Pembina Mennonite Fellowship, is part of a small, scattered but dedicated group of radio broadcasters, mission workers and educators committed to the relatively obscure Plautdietsch dialect, which dates back to 16th-century Prussia. In addition to use among colony Mennonites, the dialect is spoken by some Mennonites in Germany and older Russian Mennonites in North America, where the language is fading, although loved for its unpolished expressiveness and farmyard-style charm. Until relatively recently, it was a strictly oral language, with Low German communities reverting to High German for school and church. This remains the situation in numerous colonies. While it is impossible to generalize over the colonies throughout Latin America, Zacharias says that some colony Mennonites have limited understanding of what is said in church because they are not functional in High German. He tells of a woman at a September conference of Low German promoters held in Mexico who exclaimed that reading the Bible in her mother tongue was as refreshing as jumping into water. Zacharias has observed that some more-learned colony Mennonites would prefer that people move toward High German rather than Low German, the former being perceived as more sophisticated and useful. Another obstacle to adoption of the Low German Bible is the cultural orthodoxy expressed as “Soont hab wie noch nienich jehaut," or, “That is not how we do things.” Many churches stick with High German. He says that people who have learned to read High German—without being able to comprehend it—adapt relatively quickly to the Low German Bible. Royden Loewen, Chair in Mennonite Studies at the University of Winnipeg, says that some colony Mennonites he has spoken with view the Low German Bible as a welcome "curiosity," although at the same time he feels that presenting the Bible in people's everyday language has helped to "introduce a more personal and emotional faith." Loewen's sense is that Mennonites of a more "evangelical" inclination tend to be more likely to welcome the Low German Bible than those with a more "communal" understanding of faith as a "community of believers that must remain true and resist the world." It is "more than a translation," he says. Zacharias has also translated Palmer Becker’s booklet, “What is an Anabaptist Christian?”, Walter Klaassen's Anabaptism: Neither Catholic nor Protestant, and the Alcoholics Anonymous Big Book, although these titles have had limited appeal. Ed Zacharias reads from the booklet, "What is an Anabaptist Christian?" which he translated into Low German. Although Zacharias has no major projects in front of him now, his behind-the-scenes passion for an obscure language and the spiritual well-being of people on the cultural fringe of the global village remains vital. Hi there. I am wondering if you could help me with where and how to purchase this Low German Bible pictured above. The Low German Bible mentioned above can be purchased from Kindred Productions. You can order online at https://www.kindredproductions.com/product/de-bibel/ or by mail. The mailing address is 1310 Taylor Avenue, Winnipeg, MB, R3M 3Z6 Canada.